Ubuntu 12.04 LTS is just a few weeks away and it is going to bring a new version of the Unity desktop. The recently released Gnome Shell 3.4 will also be only one apt-get install command away. I am therefore left with a tough decision: which desktop shell should I primarily use when the new Ubuntu lands. Unity has really come a long way since it’s first release back in 11.04. I have already blogged about the most exciting new features a month back. My main issue in the old blog was multi monitor support. The launcher in the middle had a sticky behavior making the mouse stick when transitioning from screen to screen. 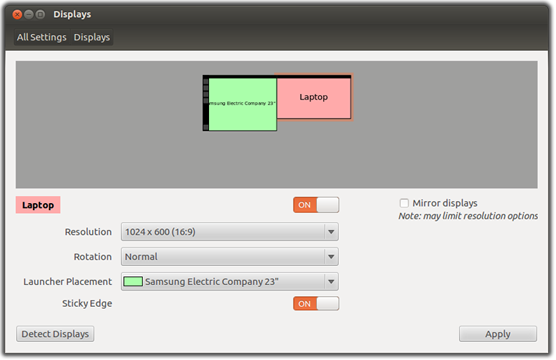 The sticky behavior is now an option and one can even set which monitor will be used for displaying the launcher! They even made it easy to customize the launcher itself. 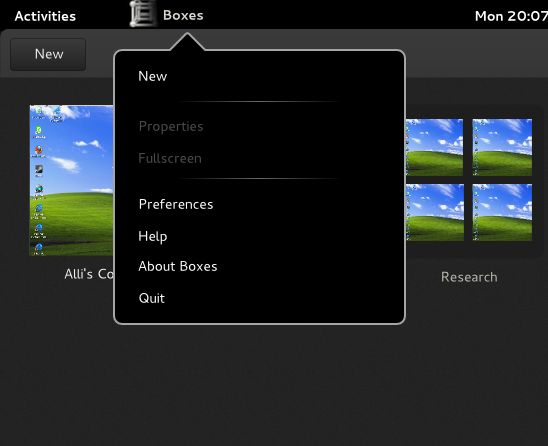 The appearance dialog now lets you set the launcher background, icon size and such. We finally have some accessible options to customize the look and feel of the Unity desktop, this was one of the chief complaints with Unity in 11.04 and I hope we will get even more options in future releases. Similarly to Unity, there was a lot of hate going round the interntes about Gnome Shell. Gnome Shell introduced a new way of doing things. It removed the bottom bar and changed the way people switch between applications. I understand that the workflow can be confusing at first but after a few hours it gets super smooth. I love it. So much so that I even wrote a Gnome Shell extension to make it even faster and easier to use. The latest 3.4 version brings many changes. Most importantly for me, the stability on AMD propriety drivers has gone way up and I am no longer getting segfaults every 10 minutes or so. Maximized windows now hide the titlebar (sort of like Ubuntu does) to save precious screen estate, and the application menus are now exposed through a special menu. This really is a tough call. Both of the new desktops seem really awesome to me, and I will probably have them both installed on my new system. But for me the breaking point in favor of Unity is HUD. If it turns out to be as useful as I hope it will be, I might find myself using Unity more often than Gnome Shell. How about you? Gnome Shell, Unity or something else?